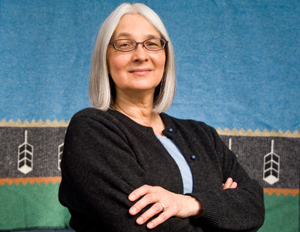 Linda LeGarde Grover, the 2011 winner of the Janet Heidinger Kafka Prize for fiction by an American woman, will visit the University of Rochester for an award ceremony and reading. A reception and book signing will follow the award ceremony. The event is free and open to the public. Contact sbai@rochester.edu or 275-8318 for more information. Grover won the award for her 2010 story collection The Dance Boots. She is Assistant Professor of American Indian Studies at the University of Minnesota-Duluth, as well as the co-author of A Childhood in Minnesota: Exploring the Lives of Ojibwe and Immigrant Families, 1880-1920 and the author of the poetry chapbook The Indian at Indian School.